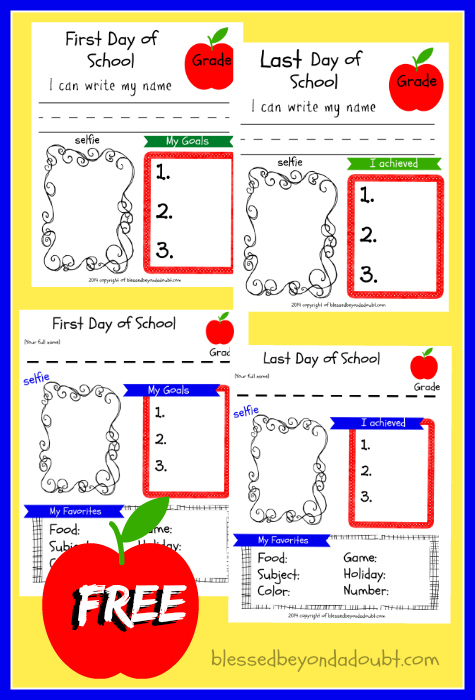 We all think it’s fun to fill out these first and last day of school printables each year. It’s neat to see how their penmanship, spelling, drawing, and interests change in the course of the year. And of course what FUN would it be if I didn’t share with you all? We always add them to our calendar notebook! « EASY Spinach Salad Recipe!